310 members, 150 cars, 50 rally participants. 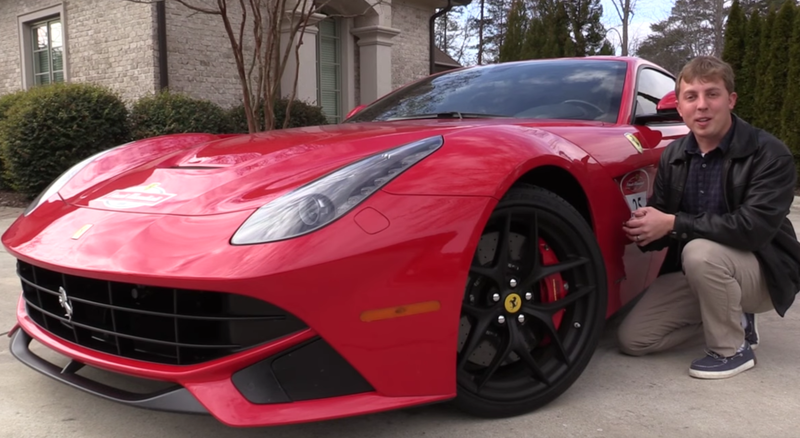 Each year, hundreds of members and their Ferraris converge on a location to celebrate all things Ferrari. 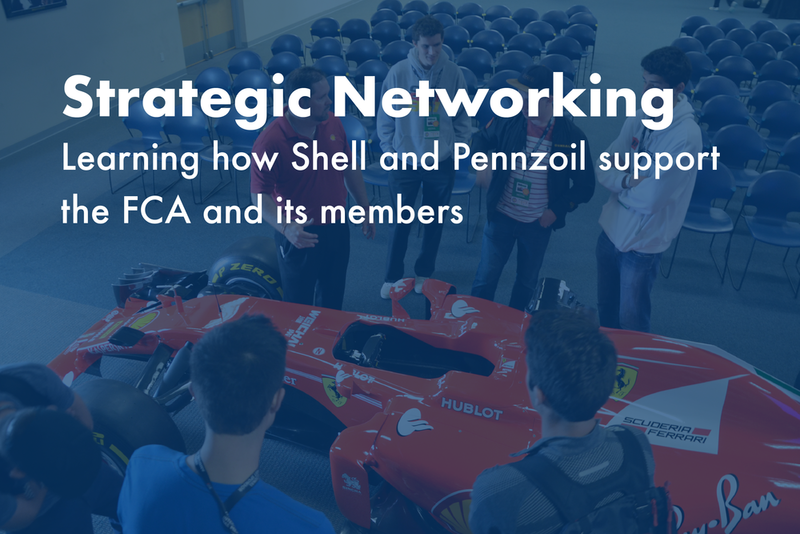 Shell and Pennzoil is a proud platinum-level sponsor of the Ferrari Club of America Annual Meet, this year in Daytona Beach, FL. Unique activation opportunities come up as Shell V-Power NiTRO+ is the Official Fuel and Pennzoil is the Official Lubricants of the Ferrari Club of America. Sponsoring the event also allows Shell to engage Ferrari owners from across the country. 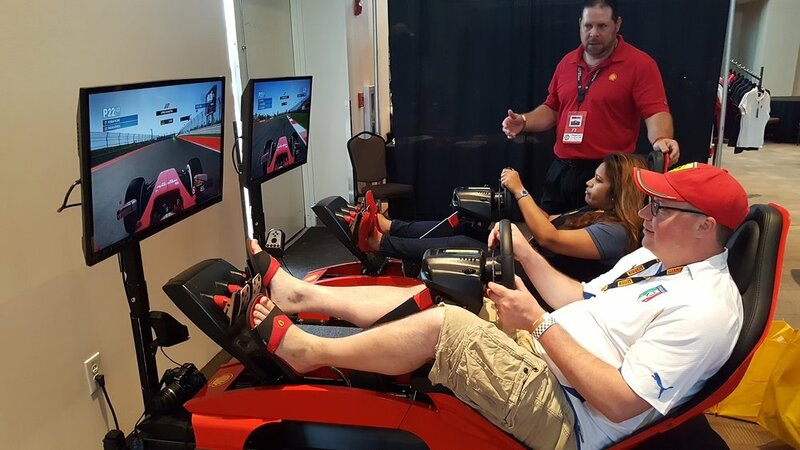 Throughout the four day experience, members and influencers experienced Shell Road Rallies, tech talks, the new Ferrari F1 showcar and racing simulators along with plenty of networking at the famed Daytona International Speedway. We also featured a Concours d’Elegance (elite Ferrari showcase) with other social activities and events. We hosted 6 top digital influencers at the Annual Meet reaching over 2,000,000 active subscribers through engaging digital content. 4 joined us on behalf of Pennzoil, and 2 joined us collaboratively from the Network of Champions managed by Edelman. The Annual Meet started in exciting fashion with the debut of the USA's one and only current Ferrari Formula 1 showcar. Fresh off a long journey from Maranello, the car provided a great backdrop to introduce the rich technical partnership between Shell and Ferrari, spanning nearly 70 years. It was a real treat to have the SF16-H for this event, as we are celebrating the 50th anniversary of Ferrari's 1-2-3 sweep of the 24 Hours of Daytona. After admiring the SF16-H, the influencers and FCA members hopped in the F1 racing simulators to go head to head and test their times around any number of famed circuits. The day continued with a series of engaging tech talks held by a selection of Shell V-Power's finest scientists to walk the audience through the innovations engineered into every lap, and every fill up. These technical experts were able to connect how Shell uses Ferrari's expertise in motorsport as an extreme R&D lab to benefit consumers on the road. In-between education sessions, there were plenty of opportunities to experience one of the most impressive automotive gatherings on earth. Check out the day from the eyes of James Condon and Kalvin Malli, below. Concours d'Elegance with some of the rarest ferraris in the world. 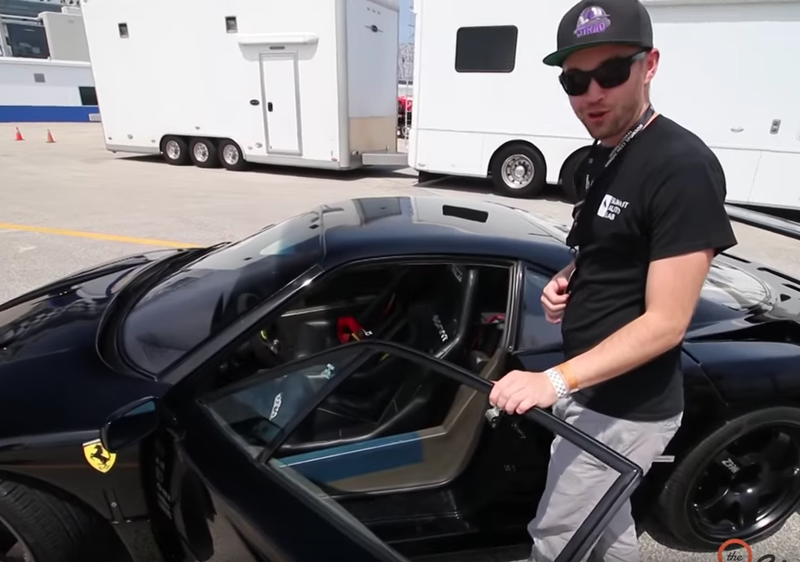 It was time to get outside in the infield of the Daytona International Speedway. Day 2 brought us the Ferrari Concours d'Elegance, a gorgeous display of Ferrari from every era and each with a unique story to tell. Owners mingled with scientists, scientists mingled with influencers, and everyone was enjoying being around such a rare collection of automotive history. Our influencers also joined us for a pace lap around the Speedway to provide a unique perspective of the size and banking present on the track. Shanna Simmons meets with Ken Thwaits to discuss Shell's innovation. #Ferraris at #Daytona... just one of the garage bays..... #FCAMeet2017 Track Day gets underway. Shout out to @weathertech , @pirelliusa, #Shell_OnTheRoad, @ferrari_tampabay for sponsoring this event! Our third day tried to give us a little trouble with grey skies, lightning and rainy conditions. While this had an impact on turnout for some, it made the route that much more open to others for the Shell-sponsored Competitive Rally. The route began and finished on the famed Daytona Speedway and found its way through 80 miles of scenic driving. Our invited influencers assumed the role of navigators, and they even found opportunity for competition themselves with James Condon coming in second place behind Kalvin Malli. Congratulations! Had an unforgettable time at the #fcameet2017 with some awesome friends! Now that we're all home, expect some killer content from @thestradman @kalvin_malli @saabkyle04llc and I😎 Thanks @shell_ontheroad and #Pennzoil for making it possible! We wrapped up the road-going activities of the Annual Meet with the Shell-sponsored Pleasure Rally. This rally is a more casual drive through the scenic roads of the region surrounding the Daytona International Speedway. It is an event built to provide opportunity to enjoy the driving experience and beautiful views. Finishing up the event, over 250 Ferrari Club of America members gathered together at the banquet. Trophies were distributed along with over $2,400 in Shell V-Power NiTRO+ gift cards to award those involved with the Shell Competitive Rally. The event took place in the famed Rolex Hospitality Room on the suite level of the Speedway, allowing Shell and Pennzoil to be represented in a truly unique way for FCA members. Copyright of Shell International. Photos from Sport Dimensions. Influencers invited by Collective Bias and Edelman. Recap and website produced by Sport Dimensions.